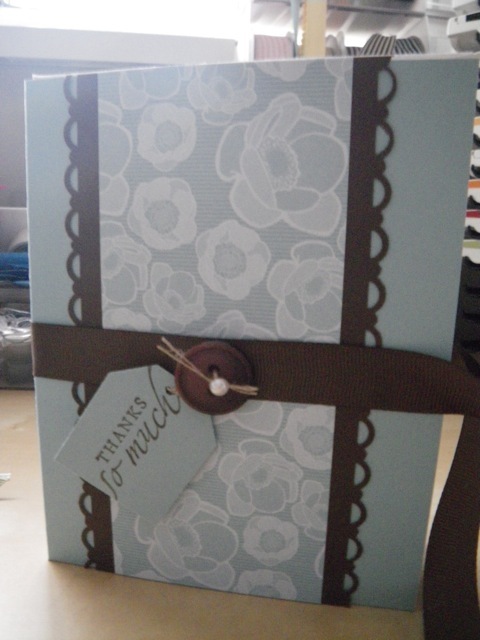 I've been making a lot of thanks you gifts and cards recently - it's been really fun to create something special for some dear friends who have helped me a lot over the past year. I've made thank you Shadow box cards using the technique I learned in my upline Alison's "Fancy Folds" class. 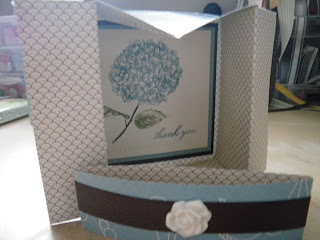 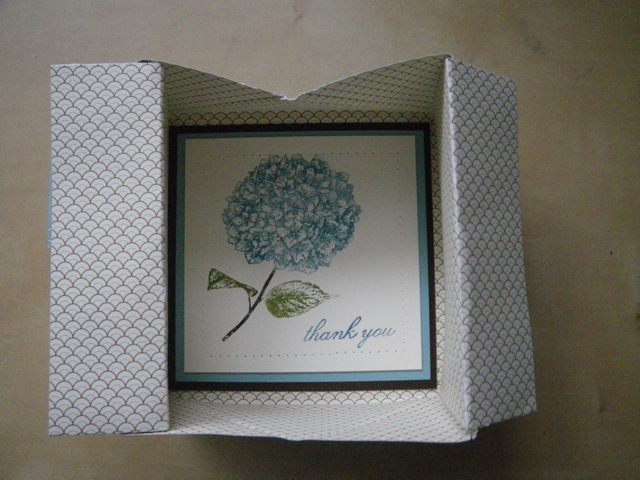 These cards are so pretty - I've used the "Because I Care" stamp set and the Elegant Soiree Designer Paper. 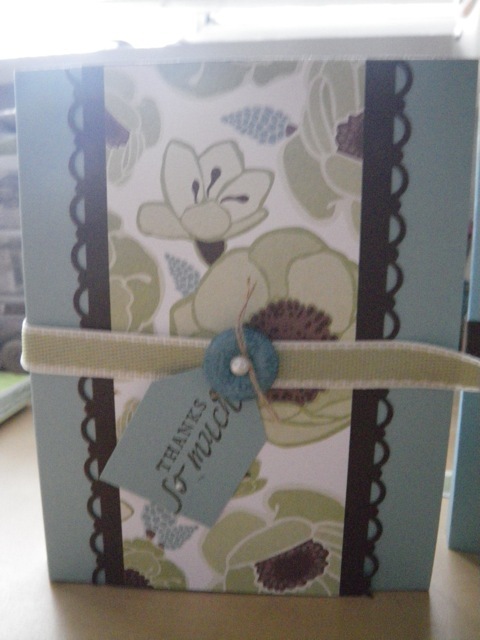 For the gifts for each of my friends, I made 4 note cards in a package. 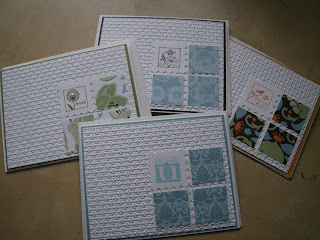 I sure hope they enjoy sending notes to their friends using these cards as much as I enjoyed making them!